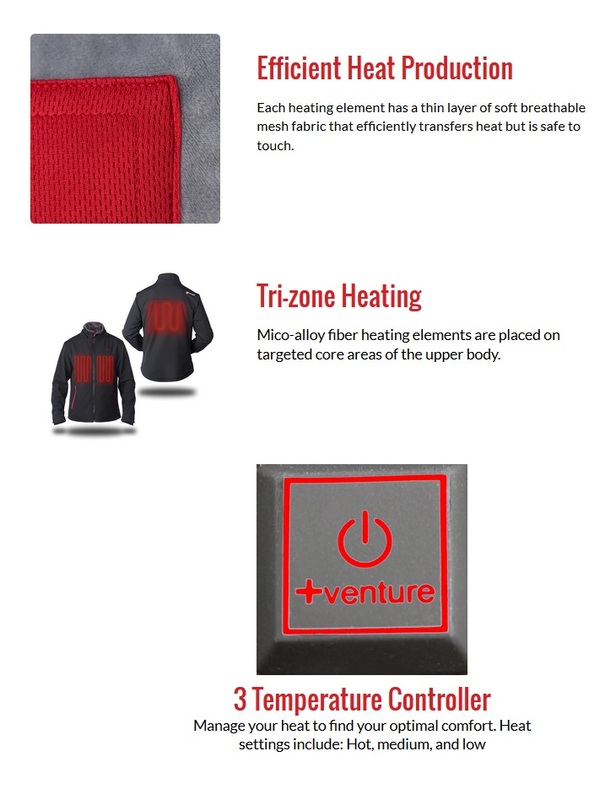 All of our innovations, technology, and feedback have led us to our best product ever - the USB Heated Softshell Jacket, powered by any 2.1A USB Power Bank. It was inspired but active lifestyles and built for the harshest of climates. The entire jacket, is lined with an ultra soft plush fleece which not only traps the heat but also takes comfort to another level. The micro-alloy heating element\xCDs panels have been redesigned to a thinner mesh overlay which allows for maximum efficient heat transfer. On top of all of that, the heated softshell jacket is also water resistant and windproof so you won't have to feel cold again. The USB Power Bank pocket is strategically designed pocket located on the back left hip which is virtually unnoticeable. I am always cold unless the temp are in the 70s! 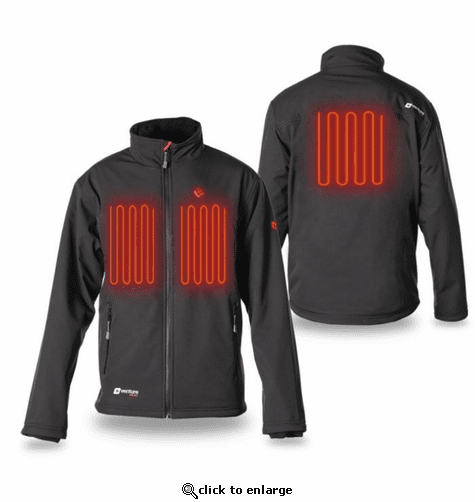 I coach outdoors in the spring (30 - 40 degrees) and this jacket has kept me warm.I chose this one over the Milwaukee because the Milwaukee's 12V battery,as well as the jacket itself, was too heavy. I wear it as my first "outer layer", under a fleece jacket. (the jacket needs to be close fitting since you'll want to feel the heat.) The only reason I did not give it 5 stars is that the battery does not last long on high... maybe 2 - 2.5 hours.